Owner DDee West Patton has built A Magic Touch Mobile Massage from its humble beginnings of just one massage therapist, all the way to being the premier professional outcall and on-site therapy and spa treatment service in the Southwestern United States. Today, A Magic Touch has 40 massage therapists, 7 nail technicians, 6 aestheticians, and 3 personal chefs. It serves an incredibly diverse array of clientele in and around the Phoenix and Scottsdale Arizona, Las Vegas Nevada, and Southern California areas. DDee has always enjoyed making people feel better and helping with physical aches and pains through the employment of therapeutic massage techniques. Her professional reputation in the Phoenix community helped DDee forge relationships with some of the larger hotels, many that reach out to her for her services when their own spas are overbooked. With over 650 hours of training, continuing education and a perfect GPA, not to mention a plethora of professional experience to her credit, DDee offers specialty spa treatments such as hot stone and rain drop modalities. DDee’s loyal clients rave about her deep tissue massage, often commenting that they have never had a massage so effective. She specializes in converting doubters who say that nobody can go deep enough to help them, and they love it! Massage Therapist, is especially effective at relieving muscle tension, fatigue, stress, emotional trauma, and chronic pain. Clients often describe Abby’s massage as a deep, therapeutic massage with a gentle approach. Massage Therapist, is an Arizona native with a passion for helping others through experience and expertise. He studied craniosacral therapy, an incredibly relaxing, light-touch therapy. Alan is completing studies at ASU with a major in Nutrition, and plans to become a Registered Dietitian in complement to his massage practice. Massage Therapist, Esthetician, uses her strength, experience and education to apply powerful deep tissue massage. Combined with other techniques, Carla’s clients recover from injuries, as well as relax and become comfortable with their bodies. She also provides some esthetician services. Massage Therapist, habla Espanol. 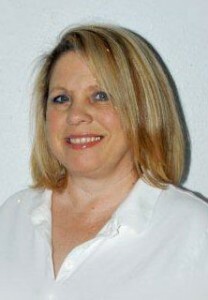 Connie is well rounded in standard massage techniques as well as specialties such as lymphatic drainage. Connie participates in continuing education for addition massage modalities, and loves bringing healing through stress relieving massage, pregnancy massage, sports massage, and reflexology. Nail Technician, offers foot reflexology and foot massage together with pedicures, manicures nail extensions, gels and acrylics. She enjoys working with people and is known for her lighthearted spirit. Massage Therapist, never imagined what massage therapy could do for the human body until she became a therapist and saw clients’ improvement. Massage is where Donna finds true happiness helping people utilizing diverse modalities, including aromatherapy, and the subtle nuances of the human body system. She has extensive experience working with athletes of all types. Massage Therapist, Musician, has been on staff at the National College of Natural Medicine (NCNM), as a massage therapist and colon hydrotherapist. She loves working with her hands and is also a guitarist, flutist and singer/songwriter who has played in coffeehouses and music festivals in the US and Europe. Eireen’s 2009 release, Bed of Stars, music for massage and relaxation, is available at CDBaby. Massage Therapist, specializes in working with individuals that require muscle rehabilitation and suffer from chronic pain. He was inspired to enter the field after receiving treatments to overcome years of his own physical pain. Garrett also works with those seeking overall relaxation and finds great reward in the positive impact that massage provides for individuals. Massage Therapist, considers massage therapy to be a lifestyle easily paired with fitness training, yoga and a whole foods diet. She hopes to inspire others to honor their bodies and become more aware of their own healing abilities. Jane specializes in injury and trigger point therapy for pain management. Massage Therapist, is a Reiki Level II healer and a trained aromatherapist and aromatherapy educator. She is accomplished in many massage modalities, and considers the healing benefits of massage and aromatherapy to be a strong combination. Massage Therapist, has a unique approach to therapeutic concerns and specializes in therapies that will open up clients to a more relaxed and balanced frame of body and mind. She incorporates several modalities to assist with relaxation and painful areas. Julia has in a variety of work environments including chiropractors, high end spas, the Superbowl, and other special events. Aesthetician, offers both spa and clinical treatment modalities, with specialized training in advanced acne, anti-aging, and sensitivity. She believes in enhancing clients’ lives through relaxation and pampering while providing progressive and innovative treatments. Kaila also offers professional makeup artist services. Massage Therapist, chose massage therapy as a means to help people heal on a deeper level. She loves and respects the healing power of touch and believes that we all have the power to heal ourselves from within, given the proper knowledge and tools. Lindsay specializes in relaxation and deep tissue therapeutic techniques used to help relax, de-stress, detoxify, and ultimately work towards an inner balance of the body. Massage Therapist, Aesthetician, provides a professional, therapeutic environment to promote healing and relaxation in both therapeutic massage and spa facial treatments. She customizes skin care treatments to meet the clients’ needs including sensitive, aging and acne skin types. Mary is trained in advanced skin care including peels, light therapy, dermaplaning and microdermabrasion. Massage Therapist, strives to give clients specialized massage treatments to help with pain, stress, or relaxation. She loves to help people feel better and to tailor each customized massage to their needs. Massage Therapist, chose to be a massage therapist because she believes that massage is one of the oldest and most enjoyable of the healings arts. Massage can improve physical conditions in every way from muscle tone to soothing nervous child. In today’s more complicated and stressful lives, massage is still a significant healing tool. Massage Therapist, is often told she has a natural touch for massage, and her main focus is relaxing therapeutic massage for athletes, musicians, and anyone in need of stress relief. Rachel has a dedicated following of clients and is skilled is most modalities of massage therapy. Massage Therapist, has over 30 years of experience in massage therapy, including therapeutic massage for a physical therapy clinic, including assessment, e-stim, and ultrasound. Richard has extensive background working in hospital orthopedic wards, private duty care of quadriplegics in their homes, aquatic therapy, and water Shiatsu, with the focus of his training being with special needs patients, spinal cord and head injuries and neuro-trauma. Massage Therapist, thinks of massage as a passion and specializes in injury recovery, especially lower back, upper back and neck. She treats business travelers just off of long flights, finding that their recuperation from travel is faster with therapeutic massage. Massage Therapist, Aesthetician, has an advanced degree in Psychology but prefers the immense satisfaction in improving others’ quality of life through pain or stress reduction, rehabilitation from injury, or overall relaxation. She also performs medical massage, flexibility coach training and aesthetician services. Massage Therapist, enjoys great success in dealing with clients from many walks of life, often referred to as, “The therapist’s therapist,” the first pick of other healthcare practitioners who look to him for their personal care. Steve specializes in rehabilitative modalities and is highly respected for his maturity and trustworthiness by both male and female clients. has more than 30 years’ experience that includes resorts and high end restaurants. Working apprenticeships with world class chefs, such as Anton Brunbaeur, Chef Ptak learned to combine local flavors and essences with Old World French, Italian, and Viennese foundations. He is versed in many ethnic and regional cuisines of the world, and enjoys fusions of various cuisines. a native Arizonan, draws from a rich and varied background to fuel her culinary expertise. She lovingly creates everything from scratch, including menu, decor and atmosphere. Her love of cooking was honed in her grandmother’s kitchen and has become a lifelong passion. In addition to personal chef services, she bakes specialty cakes for individual occasions.